Funeral Services for Delores J. Prewett, 91, Wynot, formerly of Norfolk, will be 11:00 a.m., Monday, February 11, 2019 at Christ Lutheran Church. Visitation will be Monday one hour prior to service at the church. Interment will be at a later date at Rose Hills Memorial Park in Whittier, CA. Home for Funerals is in charge of arrangements. She died Thursday, February 7, 2019 at Hillcrest Care Center in Laurel. Delores Jean (Ertzner) Prewett was born on April 22, 1927 to Harry and Esther (Schumacher) Ertzner at her grandparent's farm southwest of Osmond, Nebraska. She was baptized in Christ on May 22, 1927 at Osmond Evangelical Lutheran Church and was later confirmed there on March 17, 1940. She attended elementary country school in Osmond, Nebraska until her family moved to a farm Southwest of Battle Creek, Nebraska. After graduation from Battle Creek High School in 1944, she moved to California where she met her husband, Otis Prewett, while working at a diner. They were united in marriage on October 20, 1945 in Yuma, Arizona. They resided in Bell Garden's, California for a short time before returning to Nebraska, where their first son Larry was born. In 1947, they returned to California where their second son Leon was born. In 1952, they bought their first home in Norwalk, California. Seven years later in 1958, they welcomed their daughter Debra. After 50 years of living in California, they returned to Nebraska to enjoy retirement. Delores "Skippy" was loved by many. She was a gentle heart who cared for all who entered her life and became "mom" or "granny" to everyone. She was a member of St. Paul Lutheran Church in Norwalk, California as well as Christ Lutheran Church in Norfolk, Nebraska. 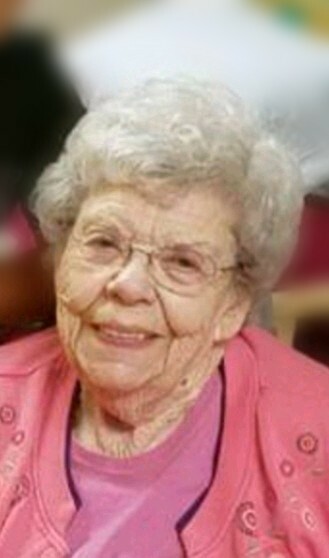 She enjoyed playing cards, bowling, baseball, baking and spending time with family and loved ones. She is proceeded in death by her husband of 59 years, Otis, who passed away on August 24, 2005, her parents and her son Larry. She is survived by her son Leon and his wife Jan of Lacey, Washington, her daughter Debra and her husband Bill Gonzales of Wynot, Nebraska, 7 grandchildren and 12 great-grandchildren. Memorials requested to Lutheran Hour Ministries.